With a bewildering array of washing machines now available, buying a new one can be a baffling experience. It can be difficult to see what distinguishes one machine from another. Of course, your choice will always be heavily influenced by your budget, but there a number of other things you should bear in mind when looking for a new washing machine. Perhaps the most fundamental choice you’ll need to make is whether to go for a fully automatic or semi-automatic washing machine. A fully automatic appliance offers some obvious benefits, namely freeing the user of the need to fill and drain the water manually for each wash and therefore freeing up time to be spent on leisure activities. Semi-automatic machines have their own benefits, though – they are ideal for situations where a steady supply of water is not guaranteed, and they are able to avoid rust problems due to their predominantly plastic construction. They are also useful for those trying to cut down water usage, as the user can add just as much water as is needed and none is therefore wasted. Another important decision is whether to purchase a dedicated washing machine or an integrated washer dryer. 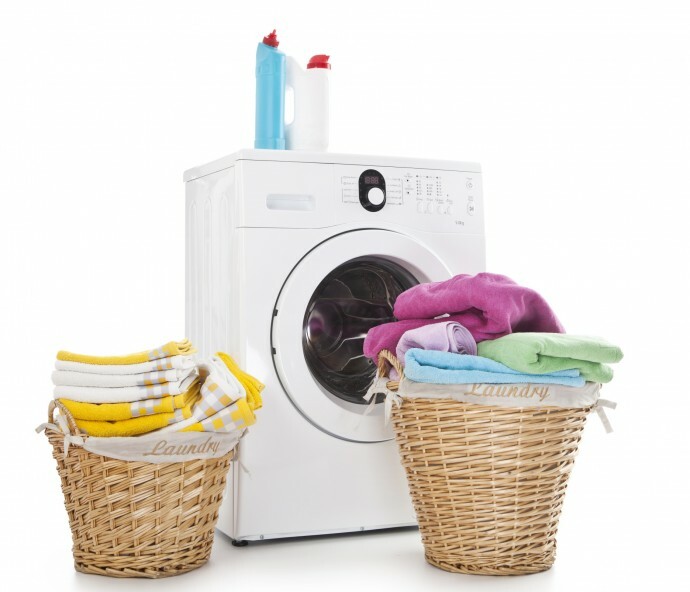 Washer dryers are obviously more expensive but offer the convenience of washed and dried laundry in one machine. The downside is that machine drying tends to use large amounts of energy and is less environmentally friendly than simply hanging your clothes to dry. It’s also really important to consider what capacity you need your washing machine to have, as this will dictate how much clothing you can wash at any one time. Typical capacities range from 5kg (perfect for people living alone or a frugally living young couple) to an enormous 12kg (ideal for the diverse needs of a large family). How your clothes relate to this capacity will vary, but a good rough guide is that 1kg should equate to an outfit consisting of socks, trousers, top, and underwear. Other good things to look out for include noise levels (under 50db means that it is about as noisy as your fridge), a gentle wash cycle for delicate garments, and a low temperature setting that will help you save energy. Moreover, many newer washing machines are becoming smarter and smarter, with intelligent systems that can automatically program different cycles depending on the clothes being washed and ensure that just the right amount of water is used. Similarly, the latest wave of washer dryers can detect when your clothes are dry and automatically shut down when the optimum level of dryness has been reached. Finally, it’s important to gain as much objective information as you can about your prospective purchase, so look online for user reviews and talk to your friends about their washing machines in order to make sure you choose the right machine for your needs.